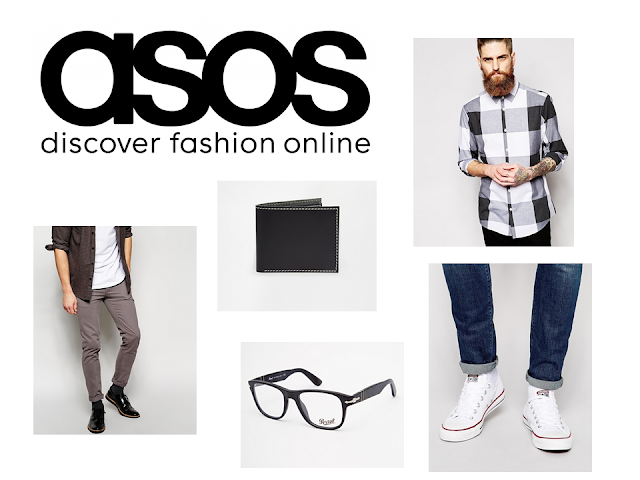 So I will be honest and admit that I have a slight obsession with ASOS. I think it's because they have millions and millions of items and I can look for hours and hours and still not get the end of a category. I don't know why but I love checked shirts or tartan-inspired shirts - they look cool and they're are so many different colours and designs available. If you were to look in my wardrobe most of my 'going-out' shirts are checked. I have a slight obsession - shh! I used to hate skinny jeans with a passion! But I slowly started coming around after trying on a pair on the off-chance I would like them and I did! I don't make a habit out of wearing them - I prefer some room and don't like clothes clinging to me too tightly but they're good for a night out - only bad thing is that it's a struggle to get your wallet, phone and keys in the pockets when they're so tight. Nearly every outfit I put together always, always includes converse - I told myself I need to get out of my 'converse-comfort-zone' and try some different trainers but I always find myself coming back to look at them. They're just so comfortable and there are that many colours that they almost go with anything. I really like the 'big stitch' designs on accessories at the moment - especially this wallet. I'm not a fan of leather in particular - but with the white stitch design around the edge sealed the deal for me. I wore glasses when I was younger which corrected my vision and I've not needed them since. However I like the look glasses give you and on my last eyesight test they said I didn't need them but I could get them for using the computer (as I get a sore head sometimes) and so I got a pair of RayBans and loved them. So I'm always on the lookout for new glasses to try. Let me know what you think? Do you think it's a good outfit or a bit too dull? I'm really into my greys, blacks and whites at the moment (as you can probably tell lol). Hope your having a great Thursday!